In her book, The Writing Life, the poet and essayist Annie Dillard gives this advice to would-be writers: "You were made and set here to give voice to this, your own astonishment." Journalist Krista Tippet suggests in an interview with biologist Katy Payne that this could be a good definition for vocation (Kristia Tippet, On Being, March 31, 2011). I couldn't help but think about this during Holy Week and the Easter Liturgy at the monastery. We were plunged once again into the central mystery of our Christian faith: Jesus lived, was crucified, was buried and was raised from the dead. This resurrection is different from those who have been brought back from the dead, as for instance in the case of Lazarus. No, this is not resuscitation; it is instead a whole new way of being. The witnesses to the resurrection of Jesus were astonished. And as we celebrated those holy days we, too, were astonished and exulted in foot washing, honoring the cross, lighting the fire, exulting in the Easter candle, full-throated song, water, incense, color, flowers, and the exuberance of the community of monastics, women, men and children. Now each of us who celebrated these holy days must give voice to our astonishment. We do this by the way we live out the Gospel message of Jesus Christ. It is a message of inclusive love and forgiveness, of healing of broken bonds, of living in peace and justice. It is living in faith when our faith is pressed to the limit; living in hope when things seem hopeless, and loving those we find loveable and those whom it is hard to love. I say that this is our baptismal and human vocation. Because Easter is the Christian "Feast of Feasts," it is celebrated for fifty days. Nothing other than extended feasting can express the exuberant joy of Christ's resurrection. Texts from the Easter Vigil Exultet, the early hymn whose title means "to rejoice greatly" or "to leap upward for joy"
ring in my memory stirring up irrepressible hope. Expect the end of the world. Laugh…. in her lap. Practice resurrection! Today is Good Friday, and we have a post by guest blogger Sister Josue Behnen who offers a poem that ties together the various tsunamis being experienced throughout the world. their angst ten meters deep. for all, to this day. As the holy days of Triduum arrive, I am reminded again this year how much I look forward both the significance of this time of the liturgical year and the splendid liturgies we have here at Saint Benedict's Monastery in St. Joseph. We try to convey during these days that beginning Thursday evening until Easter morning all the liturgies we celebrate are one seamless piece, not separate events. Tonight, Holy Thursday, we begin with a festive "Passover" meal in the dining room with wine, lamb and beautifully set tables; then we proceed to Chapel for the Eucharist of Holy Thursday, at which we bring gifts to distribute to the less fortunate, and Sister Nancy Bauer, our prioress, washes the feet of 12 people. 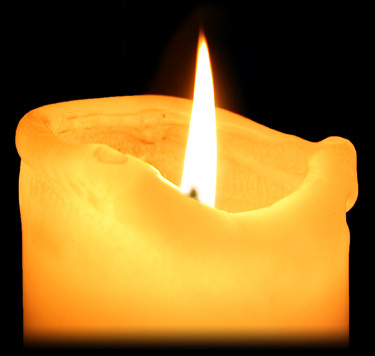 As we leave Chapel, we remember that silence now descends on the monastery until the Easter Vigil, Saturday evening. On Good Friday at the Liturgy of the Hours, there are no hymns and no chanting of the psalms. However, the readings are from the Lamentations of Jeremiah and the Sisters chosen to do these readings chant them. If one listens attentively to the words being chanted, one cannot help but be deeply moved by them. In midafternoon there is the Good Friday service which is presided over by the prioress with the veneration of the cross by all present. Meanwhile, our simple meals during these days are taken in silence with table reading. Holy Saturday dawns with an air of anticipation and quiet bustling around the monastery: the Sisters in the liturgy office bring out the beautiful flowers that have arrived; they decorate the chapel and prepare everything for the Easter Vigil that night. Finally, in the evening, at dusk, we gather outside for the blessing of the Easter candle and the beginning of the Vigil. After processing to the chapel following the blessed candle carried by the prioress, a Sister sings the Exultet, that great proclamation of the story of our salvation. After the seven readings are done we retire for the night; however, many of us come back during the night for what we call the "Night Watches." A few of us, with some of our friends who live nearby or are staying at the monastery, gather around the Easter candle for an hour of prayer and waiting. We all return to the chapel before daylight Easter morning to conclude the Easter Vigil. We gather around the baptismal font for the blessing of the Easter water and the renewal of our baptismal promises. For our guests who have never celebrated the Easter Vigil with us, the chanting of the Gospel by the presiding priest and two Sisters is an awesome moment. After the Eucharist is over, we go down to the dining room for our special Easter breakfast, wishing everyone we meet on the way a Happy Easter. May you have a blessed Triduum wherever you are and a Happy Easter! photo: Sister Nancy Bauer washes the feet of Sister Madonna Niebolte. Photo by Gary Feldhege. Transformation is fascinating. Sometimes it seems so complicated. And yet there are more and more approaches emerging that allow simple actions to provide life-giving vitality to transformation. A recent guest at the monastery talked about using HeartMath to promote her own transformation and peacefulness. Basically, it means allowing an experience that generated deep appreciation or profound gratefulness to be remembered. And then to recall the wonderful feeling-of-appreciation it generated within you. It is actually the feeling that is the catalyst for change. One can slowly breathe an appreciative feeling into your heart as you inhale and then peacefully exhale. Every time you breathe in this way you actually change your biology. I was amazed to discover that HeartMath research has documented that practicing this kind of breathing results in a 100% increase in the anti-aging hormone, a 23% decrease the stress-hormone and an increased defense against pathogens. Researchers have also found that it's not the brain, but the heart that has the strongest electromagnetic field in the body and emotions operate at a much higher speed than thoughts. So taking in an appreciative emotion while you inhale bypasses the mind's linear reasoning (which may include negative thinking). When loving emotions are taken into the heart, the exhalation can be peaceful. According to Thich Nhat Hanh, a Vietnamese Buddhist monk, every peaceful breath increases the amount of peace there is in the world. Wow! What if our slow appreciative breathing not only transformed us into peacefulness but nudged our world into peacefulness as well. Who knows, HeartMath may be the "math formula" we need for creating a permanent peace movement. S. Renee Domeier wrote and read this poem for the annual "return of the fish" celebration, returning the koi to the fountain at the College of Saint Benedict. 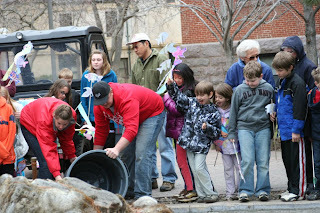 The fish were returned despite the chilly weather on Thursday, April 14, 2011. These fish are ancient! At least their ancestors are! were created on the fifth day of creation! And God liked them! He enjoyed what he had done and said so! just to get them back to their spring-to-autumn home! One could say they must really be something in order to get such a welcome! they'll be surrounded by shade and geraniums. Finally do you think God likes their coming home? It's fun to come home amid balloons and banners! And everybody making a fuss over you! Why would birthdays be any different in the Monastery, you may ask. I thought the same thing before I became part of the monastic community in 1980. 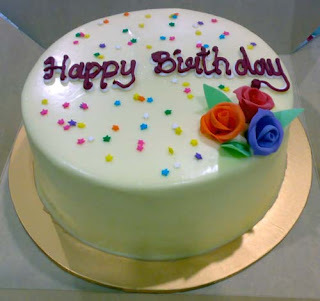 I have always enjoyed my birthday immensely because my parents were generous with their attention on that special day in Spring. My Mom would bake my favorite spice cake with brown sugar frosting, and I could always count on a really nice surprise gift. And yet, I feel that I had no idea how much more profound these celebrations could be. My first Formation community started to change my view when we were introduced to the idea of "person" days. Instead of a singular focus on aging, we expanded our emphasis to include the whole person, that is, all that we are as God created us. Concretely speaking, this means that the living group hosts a special dinner for us consisting of some of our favorite foods. Since I still love my spice cake, one of the groups where I lived called my Mom for the recipe and made that cake for me. What a delightful surprise! Besides food, the group plans an evening consisting of a variety of activities such as games, guests, and prayers devoted to the special person being honored. Sometimes gifts are part of the celebration, as well. One group I remember well gave "swell" gifts which were a source of great fun and laughter. Another group I've associated with gives particularly poignant cards honoring the sister with words of a serious and complimentary nature or maybe with something quite playful. On my "person" day this year, I am looking forward to old-fashioned chicken, salad, and pumpkin pie, my all-time favorite dessert, even if it is not Thanksgiving. All in all, I am extremely grateful to be the one in the spotlight for one day, each year. 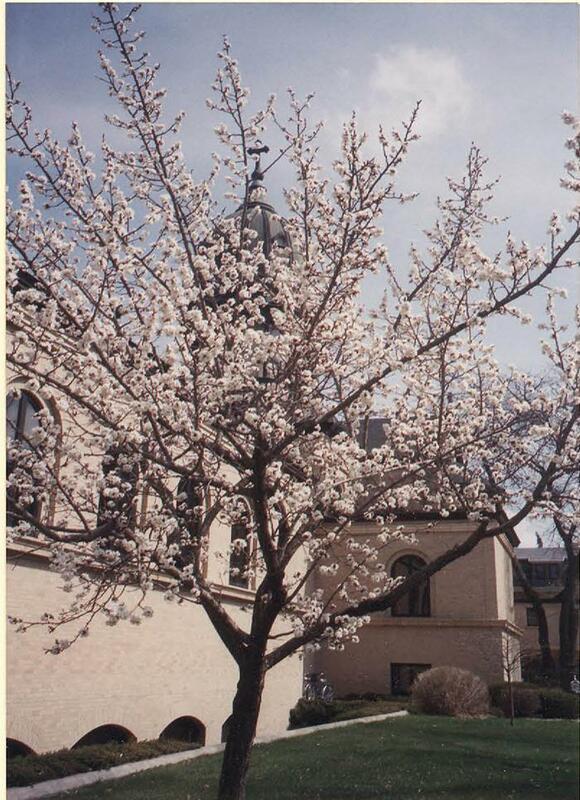 Spring is heralded at the monastery in several ways and varying dimensions of exhilaration, especially after the Minnesota challenges of winter 2010-2011! The birds can’t sing their songs enough for us. The perennials stick their beginning growth above the still-cold earth and flower gardeners feel the itch to get our hands in the dirt. When is it safe to uncover and remove the debris and old stems, we wonder, we ask each other and some of us go ahead and do it despite our better judgment. But there is a tree that many of us watch daily. We plan our daily walk, or are just drawn by years of delight to the sheltered south side of the Gathering Place wall. We are watching the apricot tree. Day by day as the spring warmth intensifies and the blue, fluffy clouded skies hang around for hours at a time, we swear that we can see the buds swelling right before our eyes. One has to be attentive because it is an Asian variety of apricot tree that bears blossoms before it leafs out. We’ll take in the swelling of buds, the blossoming, the leafing and, finally, we see the fruit! It too swells and begins to take on the color of ripeness and bounty. Then what? The squirrels become the greatest beneficiaries! Which of us can scamper night and day, run up and turn around and run down on every branch and keep watch 24/7, sniffing and smelling and pouncing on the little defenseless apricots? Let’s not miss what is freely ours—the sights, the colors, the shifting delights of this lovely tree, even though the smell and taste of the fruit may never be ours! Amazingly, Lent has come mid-way, as I type this, and the fifth week is only a few days away. On Ash Wednesday I sighed, thinking what a long haul was ahead of us! But for me this Lent is "moving right along." Partly that is due to keeping very busy as well as to some celebratory events within the days of Lent—such as a 90th and 99th birthday for two Sisters, a gratitude party for three leadership team Sisters and observance of a solemnity feast (i.e., St. Benedict, the Annunciation, etc.) here and there. Other things which make Lent more bearable to me have to do with the menu. For instance, I really, really like herring. I don't recall our getting it outside of Lent … or, at least, it is rare. For others, having it regularly on the menu now adds to the negative image of Lent, I suspect. 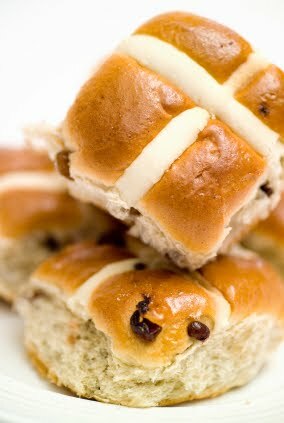 We also get hot-cross buns on Good Friday, to which I always look forward and wish would appear more often. While desserts are less evident, the menus remain varied and good. I used to hope I'd lose weight during Lent—but unfortunately that doesn't seem to ever happen. Maybe more fasting is called for instead of minor abstinences? And, do note the irony: there is only one letter difference between the two words feasting and fasting. Benedict says in his Rule that we should abstain a little more from the usual measure of things, such as food, drink and sleep, but I think it is tougher to bite back the sharp word, wait patiently in line and show up on time for all tasks and services. Nothing heroic; still, these things may be as praiseworthy as our usual fasting. 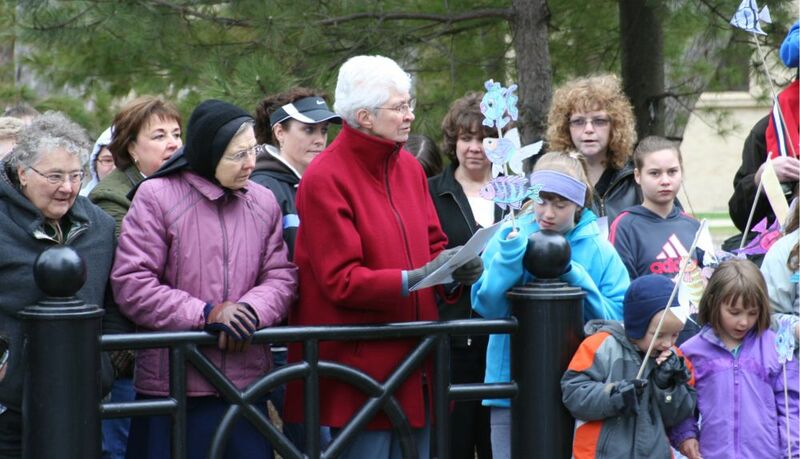 Last Sunday, we celebrated the halfway mark of the season of Lent. This year Lent seems to be going in slow motion. Maybe it's because when I look out my window on April 1, I still see clumps and mounds of snow on the ground. 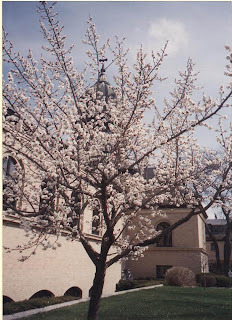 The warmth of spring and budding trees have been slow arriving to St. Joseph. 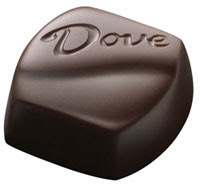 Or maybe it's because I earnestly attempted to give up dark chocolate, specifically Dove, for Lent. I never been great at giving up things for Lent, but this year, once again, I decided to give it a shot. Lent and New Year's always seem to fall in the same camp for me. Good intentions – very good intentions set out in full force and zeal yet withering at some point to temptation. So it's been 20 days of no prophetic notes from the inside of wrappers or dark chocolate with coffee. It probably seems a little funny for a monk give up dark chocolate and how nebulous and insignificant. And, frankly, I think so myself, except paradoxically it has woken up an awareness of the season of Lent in me, living one day at time, saying no to something that would give me instant pleasure, and learning the old life lesson of waiting. Waiting has never been my strong suit except in the area of procrastination. Forsaking this small piece of dark chocolate has opened a new spiritual journey of being with God. I do not think God is all that interested in the dark chocolate score sheet of Lent. I believe God is interested in my heart, is waiting for me to continue to unwrap and live into the delicacy of his mercy and love, and if it takes a small piece of dark chocolate – God smiles and maybe nibbles on a piece while drinking coffee.